I'd like to consider myself pretty fearless when it comes to fashion. I definitely like to push the boundaries and will never commit to just one style. 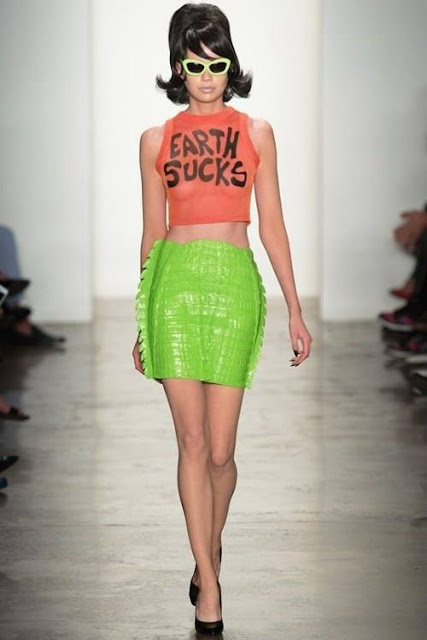 As New York Fashion Week came to an end yesterday, I wanted to share with you some of the most fabulous Spring 2014 collections to hit the runway. From 60's mod inspired dresses to our own beloved EDM funky festival fashion, I found something for every occasion... Red Carpet to RAVE Ready!! !